I have to say, loli-Sakura-chan is so very very cute. 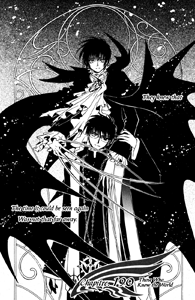 This chapitre title page... CLAMP must be addicted to leading fangirls on and never putting out. WOOOW that was pretty fast!!! !